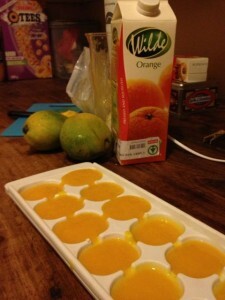 I spent my teenage years living in Asia, so mangoes are not something new to me. However, I’ve never had my own mango tree before. Now, with three large mango trees in my garden, I have more mangoes than I know what to do with. 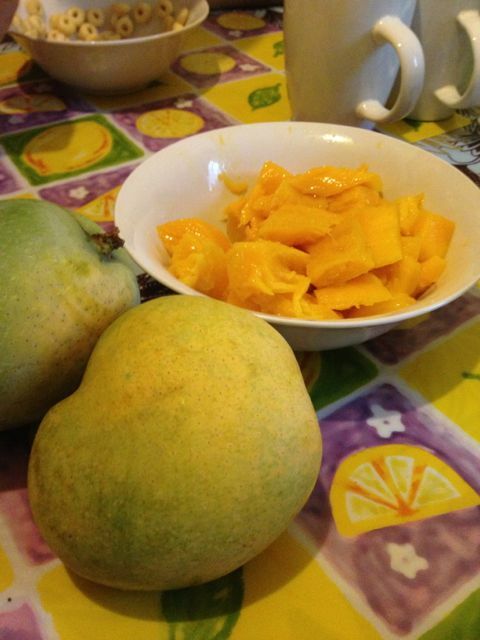 In London, it costs upwards of £1.50 (13,000 ZMK / US$2.50) for a single mango. This would mean that if I wanted to have the same number of mangoes at my disposal in London as I do here, I would need to spend somewhere in the region of £750 – £1000. Daily, scores of mangoes fall to my garden floor and start to rot. I can’t keep up! My fridge is full of mangoes, my hands have acquired a yellow tinge, and I have a callus from chopping so incessantly. 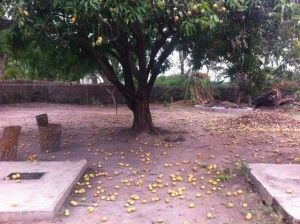 The locals also sustain injuries as a result of mango season. Getting the perfect mango from the top of trees can be tricky. In mango season, if you look up through the branches of any mango tree, you will usually find at least one person at the top collecting fruit. Some of these trees are pretty big, and therefore, at this time of year, you also find a number of people on the surgical ward with broken bones and head injuries from mango collecting. In the outpatient department, there are also plenty of diabetics with erratic blood sugar levels induced by mango binges. With mangoes littering my garden and filling my fridge, a freshly chopped mango once a day for breakfast was barely making a dent in the pile. I have had to become creative in order to try and use them up. Cut the mango into two halves on either side of the flat oblong pit that runs down the centre of the mango. At this point you can either score the flesh, invert the mango and have mango cubes from a bowl, or you can grab a spoon and just dig out the juicy flesh. I decide on a method based on my mood. Mango can be eaten neat at any time of day… breakfast, a snack, dessert… anything goes. 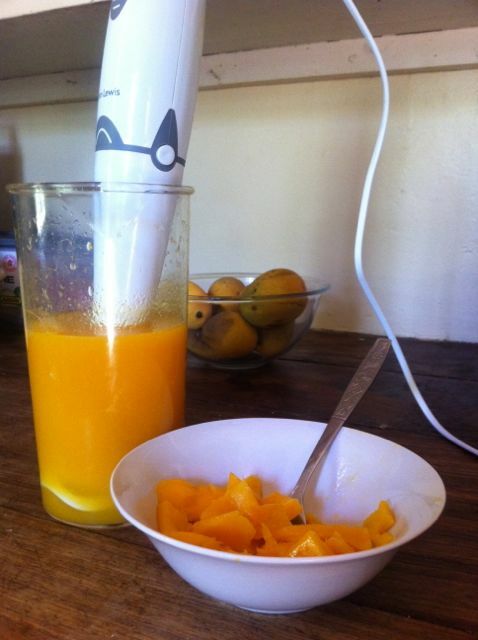 A really yummy breakfast drink… Just mix one mango, one banana and 500mL of orange juice in a blender, and enjoy! A popular Indian yoghurt drink. Works really well with spicy food, but also makes a pretty tasty and filling breakfast drink. Cut 2 mangoes into small pieces and put them into a blender with ½ cup of milk and 1 cup of yoghurt, add 2-3 tablespoons of honey to taste. To do it properly, crush a cardamom pod and stir it through before drinking. I’ve eaten plenty of Mango pudding in my life, but I’ve never made one myself. Who would have thought it would take moving to Africa for me to make one of my favourite Oriental desserts!? It was incredibly easy to do. Just blend two ripe mangoes into a puree, sprinkle 3 tsp of gelatin into ½ cup boiled water, stirring constantly, and then stir in 1/3 cup white sugar. Add 1 cup of coconut milk. Blend everything together, pour into serving bowls, and put it in the fridge overnight to set. To be posh, serve it with chopped mango, or just gulp it down on its own. Mango season isn’t all about sweet, diabetes-inducing treats. 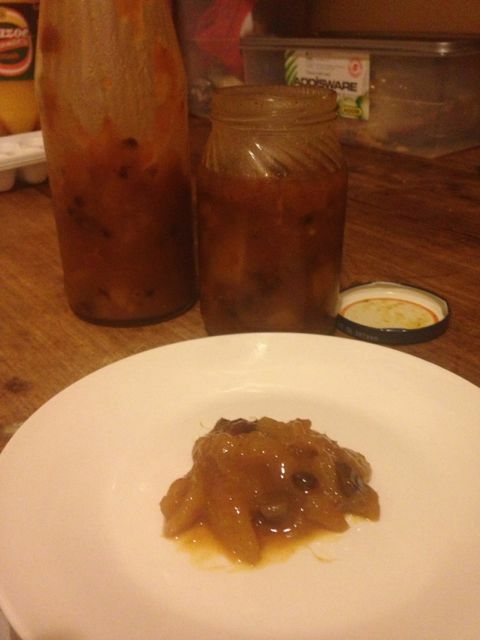 When I first set eyes on my mango tree, I knew I wanted to make a homemade mango chutney. I combined two recipes (Delia and SimplyRecipes.com) to make a fruity, spicy chutney to die for. Cut 6-8 slightly unripe mangoes into medium sized chunks, sprinkle sugar over the top. Dissolve 2 cups of sugar in 1 cup of white vinegar in a slow cooker or a pan on low heat. Finely chop some fresh root ginger, a few cloves of garlic and two onions. Add 1 tsp cumin, 1 tsp ground turmeric, 1 tsp cayenne pepper, 1 tsp chilli flakes, 1 tsp ground cloves and 1/2 cup raisins to the slow cooker. 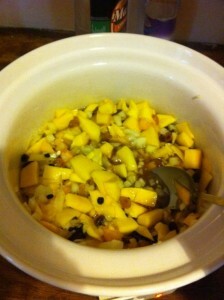 Add the mango, ginger, garlic and onions. Cook over a gentle heat for several hours stirring occasionally until it has reduced to a thick syrup. Allow it to cool and then ladle it into warm, sterilised jars using a funnel (or a plastic bottle tipped upside down with the bottom cut off). It goes amazingly well with curry, but is also great with meat, and works well in toasted ham, cheese and tomato sandwiches too! Last but definitely not least… mango ice cream. One thing I love, but can’t really get out here, is ice cream. The supermarkets in Chipata sell tubs, but it would melt before I even got back to the car, let alone survive the drive back to Katete. 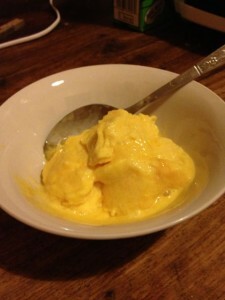 I don’t have an ice-cream maker, and I don’t have many ingredients at my disposal, but I found a recipe for a coconut milk mango ice-cream that doesn’t require any equipment. All you have to do is freeze coconut milk in an ice-tray and freeze a chopped mango. Once frozen, add them to a blender with some honey. Blend, and serve quickly before it starts to melt. 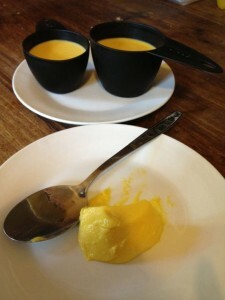 Having been deprived of ice cream for so long, I actually let out a whoop of delight when I had a sloppy dollop of lumpy mango ice cream in front of me… and I still feel quite elated about it now! Oh, wow, you are in mango HEAVEN with your very own mango trees! That ice cream looks delicious. I don’t have any recipes (you’ve covered that topic very well), as the only way I’ve eaten them is neat. Isn’t that just like Mother Nature, providing a surfeit of something in one area with a scarcity of that same something in other areas. You have mangoes coming out of your ears, while here I buy one precious mango at a time for a special treat. I hope there’s some of that ice cream left for me! A jar of Mango chutney for Christmas would go down a treat!! !